In the past few years, for some reason, it’s become a thing that women aren’t funny. Or, more specifically, it’s become a thing that we’re surprised that women are funny. It’s like we somehow managed to ignore that 30 Rock and Parks and Rec are lauded, fantastic shows, that women like Julia Louis Dreyfus have great careers, and that Roseanne Barr, Rosie O’Donnell and Ellen Degeneres never happened. For crying out loud, haven’t you people heard of I Love Lucy? Mae West? Doris Day? So, inexplicably, we’ve become convinced that women are only now getting to show how funny we are. 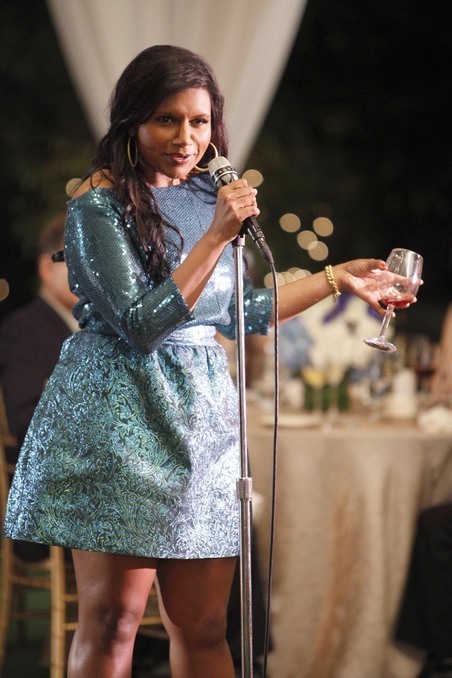 We’re supposed to be grateful that movies like Bridesmaids are showcasing entertaining female comedians, and people like Mindy Kaling are finally getting a shot. And it’s not like I have a problem with either of those things. Those are both pretty cool. I just think we need a little perspective. 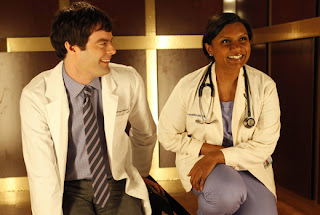 And, I hate to say it, but if we’re going to view Mindy Kaling and The Mindy Project as the emblems of our gender, I have a few things that need to be sorted out first. The Mindy Project is a solid show. Non-controversial, good time slot, recognizable actors and one big star, snappy writing, and an easy premise. I’m sure it will do well. Which is part of the problem. Because I’d like to think that a show like this can be funny without perpetuating the idea that women are only funny when they hate themselves. Now this genuinely is a problem in comedy. From Tina Fey’s Liz Lemon to Kristen Wiig in everything to most of the accepted female comedy stars over thirty. For some reason we are primed to expect that if a female character is funny, it must be because she hates herself. What the hell is up with that? Mindy, of The Mindy Project, is a mess. She gets drunk at her ex-husband’s wedding, crashes into someone’s pool, gets arrested, misses a surgery, weirds out a blind date, has to run to the hospital in a cocktail dress, and repeatedly sleeps with a guy she knows is no good in the first episode. I think that might be a new record. Mindy’s problem is that, like way too many romcom heroines, her life is defined by her problems. Instead of focusing on the fact that she is a successful, respected OBGYN in New York City, she chooses to mope about how she doesn’t have a real boyfriend, and her life isn’t enough like the movies she watches. It’s funny, but it’s mostly sad. I don’t understand this hangup we have, that a woman can only be funny if she’s also a mess. Katherine Hepburn was hilarious in Bringing Up Baby, but she’s not a mess there. In fact, she’s probably the least a mess out of all of them. But for some reason, we can only accept female humor if it’s accompanied by self-loathing. Why? What on earth does this give us? Well, for starters, it makes the character non-threatening. Mindy Lahiri is a highly educated non-white woman working a very good job in a very nice city. She has a gorgeous apartment. She has disposable income. She is literally a version of the American Dream. Which makes her threatening. The only way to make this clearly successful woman funny, without of course resorting to effort and good jokes or silly things like that, is to make her pitiable. Sure she’s got money, but she hasn’t got a man! She might be a talented doctor, but she gets drunk and weepy at weddings. We aren’t supposed to relate to Mindy, we’re supposed to feel superior to her. And that really says all it needs to about the state of comedy right now. 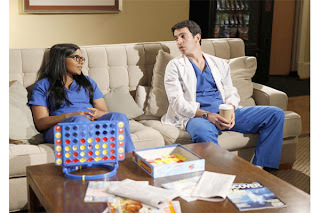 When shows like Don’t Trust the B* in Apartment 23 get almost no coverage, despite being a show about women for women and literally by women, where the female characters spar and snarl but are funny and human without being pitiable, it’s sad to see us all sitting around staring at The Mindy Project. Declaring it the last great hope for women in comedy. Talking about how desperately important it is that this show do well, or women will never be able to have sitcoms again. Yes, I think The Mindy Project is probably going to be a successful sitcom. And, yes, I think that this is a shame because the show is so evidently written by someone who thinks women are only funny when they hate themselves. But I do not think that this is the only funny show about women on TV. I don’t think that self-hatred is a good reason to laugh, and I don’t think that this is television’s last great hope for comedy. I think we all just need to put the remote down and take a deep breath. Then turn the TV off, because screw this.